news The nation’s largest telco Telstra this week revealed it would shortly launch 4G Voice over LTE calling over its mobile network, in a move that will deliver higher audio quality to voice calls and enable the gradual migration of customers off the telco’s 3G network, while also trialling a mobile hotspot that has the capacity for 600Mbps speeds. In a blog post on the telcos’ Exchange site this week, Telstra group managing director of Networks Mike Wright said the telco had been trialling Voice over LTE services (VoLTE) for most of the 2015 year, and had now started progressively enabling the service for Telstra’s mobile customers on plans and with compatible mobile handsets. VoLTE allows the telco to carry voice calls over its 4G LTE data stream, rather than calls being placed through the existing slower 3G network. Wright said the change would unlock future technological moves, including a path to placing calls over Wi-Fi networks, video calling over LTE, and even higher definition audio calls. Some 30 percent of mobile calls already use the HD voice calling functionality which has been present on Telstra’s network for several years, making audio calls clearer. Wright said the rollout of VoLTE would be “staggered”, gradually enabling the full HD voice capability for different types of calls — for example, 4G to 4G, 4G to fixed landlines, 4G to 3G and so on. “Initially post-paid consumer customers will be gradually enabled, and we will later be extending the VoLTE capability to our Business and Enterprise customers, as well as our prepaid customers in the future,” he said. Wright noted that Telstra’s priority throughout the process would be to protect the level of service Telstra was currently offering customers, while introducing the new technology. The brand new iPhone 6s and iPhone 6s Plus will be among the first enabled devices, along with Samsung’s Galaxy Note 5 and Galaxy S6 Edge+ and others including the latest Xperia smartphones from Sony Mobile. To be ready for the switch to 4G Calling, customers with an eligible device must ensure their device software is updated. Some customers may be required to turn on Voice on 4G in their settings as well. Also, devices with the Caller Tones or Mobile Protect features will not be compatible with VoLTE to begin with. Once VoLTE has been activated customers should experience a seamless transition, with the only giveaway being the 4G icon remaining on during voice calls. Separately, Telstra also announced it would shortly launch a mobile hotspot capable of 600Mbps broadband speeds on its mobile network. The Telstra WiFi 4GX Advanced III Mobile Broadband Hotspot is a ‘Category 11’ device and represents the fastest mobile broadband solution currently available. It aggregates multiple mobile streams together to achieve the higher speeds. 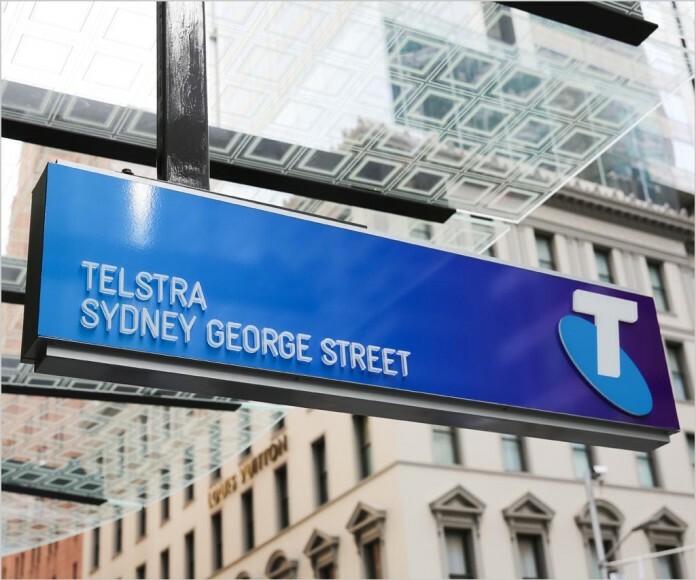 John Chambers, Executive Director, Mobile, at Telstra, said he wasexcited to offer more cutting-edge solutions to customers thanks to strong relationships with the partners involved. The hotspot supports up to 15 Wi-Fi-enabled devices simultaneously. The hotspot automatically switches between 4GX, 4G and 3G coverage in areas where 4GX — the standard it requires for the highest speeds — is not yet available. With its battery, customers can connect for up to 11 hours of continuous use or 260 hours on standby. The early Cat 11 enabled footprint is concentrated on the CBD’s of Eastern Seaboard capital cities; initially Sydney, Melbourne, Brisbane and Canberra, and in selected popular holiday locations. The network reach supporting these Cat 11 speeds will also continue to expand in line with growing mobile data demand. It is not yet clear how much the device will cost. Both great initiatives from Telstra. They represent a continued demonstration of the fact that Australia currently enjoys some of the best mobile networks in the world. The continued strengths of Telstra’s mobile network in particular is testament to the vision of former Telstra chief executive Sol Trujillo, who initiated construction of the current platform in 2005 — spending massively and pushing network builder Ericsson strongly to get the network upgraded in record time. That vision has paid off massively for Telstra over the years, and executives such as Wright continue to help the company to make the right choices with respect to its mobile network infrastructure. Now if Telstra could only deal with the patchy 4G coverage around my house and around Parliament House in Canberra (the Senate side is particularly bad), I would be a happy man. I find it hard to get excited about the new top speed though to be honest. My brother moved into a new house recently after returning from overseas. He got some mobile internet thing from telstra for $150, not sure how many gigs it was. He called me a few days later furious that it had run out and wanted to know if the lady at the telstra store was correct. Apparently he watched a few netflix films and ate through his entire data quota without even realising it. Telstra didn’t offer him anything more for the heavy user just basically asked him to pay the same amount and go through the same experience again. I imagine netflix’s adaptive bitrate took full advantage of the 3g/4g speeds he was getting. Just imagine how quickly you’ll blow through your 4 gig per month or whatever at 600 mbps. Thank god they aren’t charging 1.5c/mb over anymore with no shaping or cutoff (although their $1 per minute mobile plans are still prices from another era). They are so…hostile?…rude?…I don’t know what the word is but I hate telstra’s attitude when it comes to mobile calls and broadband pricing. 600Mbps hot spot sounds great… for the 2 hours you can use it until you use your entire monthly quota. Great speed, really good development. Now Telstra …. about those insanely low data caps and $10 per GB prices …. $105 for 15gb. What’s the point? They will need to massively increase data limits.